Remote Login is a feature in macOS that allows you to connect to your Mac from another computer. Enabling this feature starts up a SSH server, and it allows you to access your Mac through a command line interface and transfer files. SSH is an encrypted and authenticated protocol. Therefore, it protects you against man-in-the-middle attacks, unlike traditionally used protocols such as telnet and FTP. 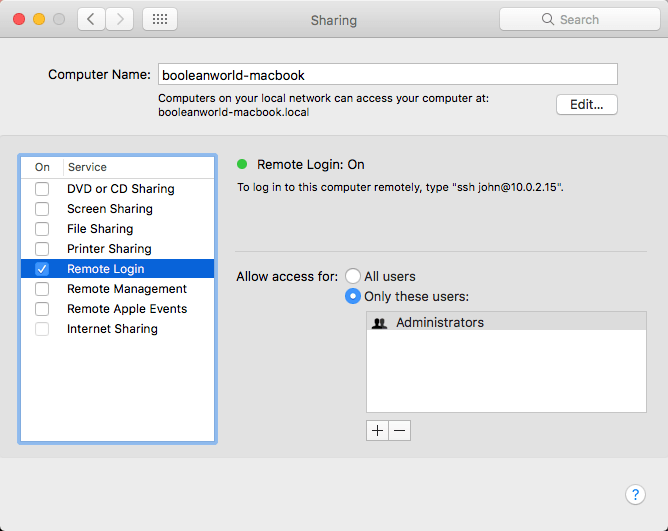 In this article, we’re going to take a look at how to enable Remote Login and use SSH to manage your Mac and transfer files. Open “System Preferences” from the Apple menu and click on “Sharing”. Then, enable Remote Login by clicking on the checkbox. As soon as you click on the checkbox, the SSH server is started in the background. If you want to restrict SSH logins to certain users or groups of users, select “Only these users” and add some users to the list. Otherwise, you can select “All users”. Since we now know that everything is working, type in “logout” and hit Enter. In order to connect to your Mac from a remote computer, you should first know its IP address. Fortunately, you can find it in the “Sharing” settings window. However, if your Mac is behind a router, you’ll see a local IP address like “10.0.2.15” and while you can still SSH into your computer from any other device on the same network, you can’t access it from the internet. 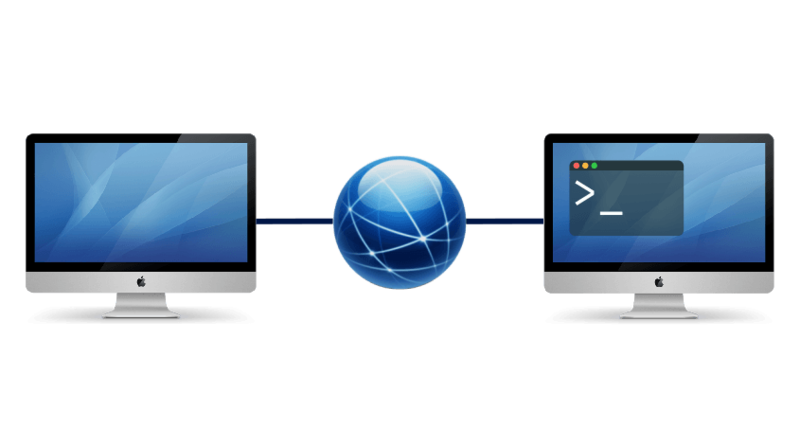 You’ll need to configure port forwarding on your router so that any inbound traffic on port 22 is sent to your Mac. After enabling Remote Login and configuring your network (if needed), you can now connect to your Mac from another computer over SSH. If you’re using Bash on Windows, open the “Bash on Ubuntu on Windows” shortcut to get a bash shell and type the above command there. Cygwin and MSYS2 also have the OpenSSH package in their repositories and you can connect with the same command in their shells. If you aren’t using Bash on Windows, you can use PuTTY to connect to your Mac. If you’re on a mobile device, check out Termius, ConnectBot and JuiceSSH. 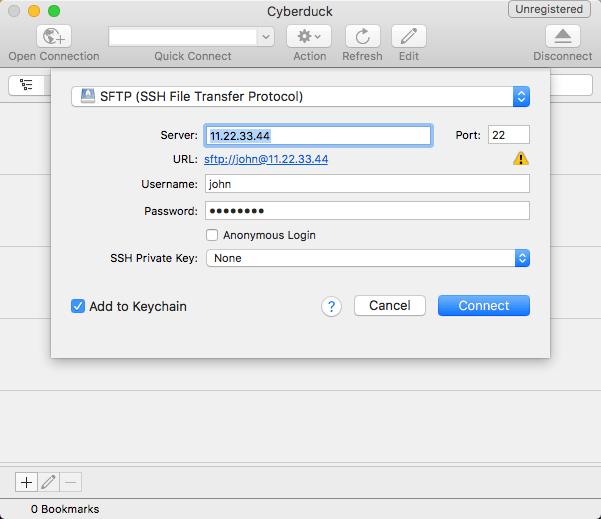 SSH allows you to transfer files with methods such as SFTP, rsync and SCP. In this section, we’re going to take a look at using the first two protocols to transfer files. Next, click on “Connect”. Cyberduck will log in and show you a list of files. Now, you can modify, remove, upload and download files from your Mac. The -v flag is to enable verbose logging, and it is useful to see the percentage, speed and the list of files transferred. Just like cp, the -r flag allows you to copy directories. rsync has a lot of options, such as preserving file permissions, partial transfers and compression. If you’re interested, check out the man page. Once you’re finished editing the file, press Ctrl + O to save the file. Then, press Ctrl + X to exit the editor. Any existing SSH sessions will get terminated, so don’t restart the server if you’re working on something through SSH at the same time. 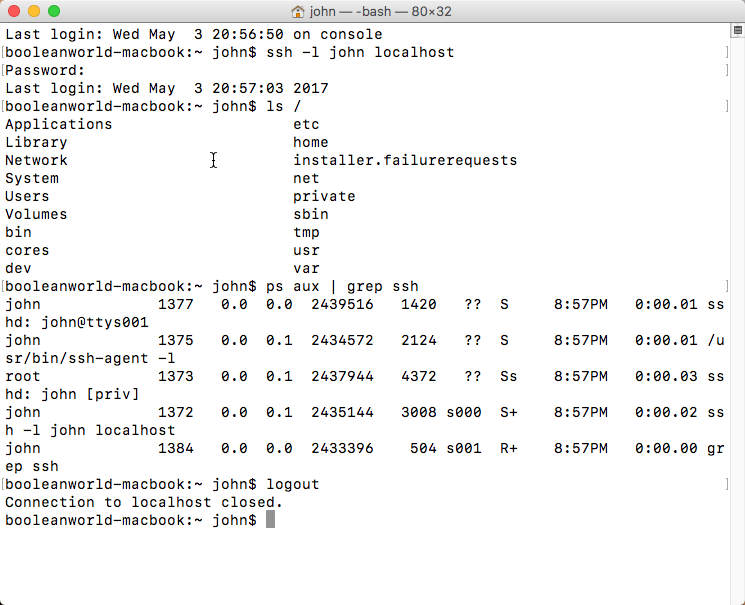 SSH is a pretty nifty thing to have on your system. 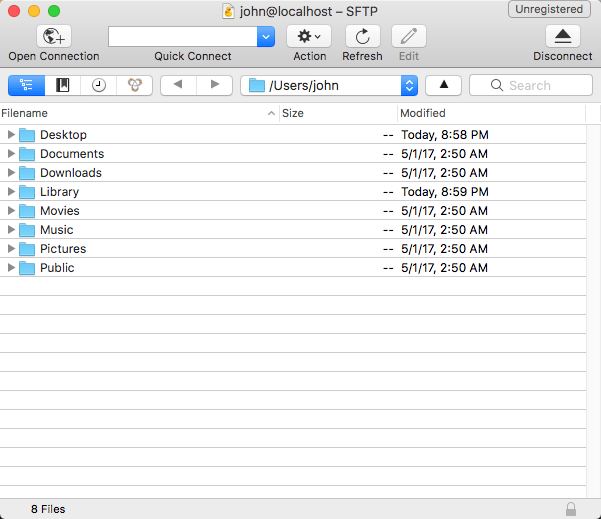 Fortunately, macOS makes it a breeze to set up a SSH server, allowing you to control your Mac and transfer files.